We can’t say we didn’t see it coming but it couldn’t come soon enough. 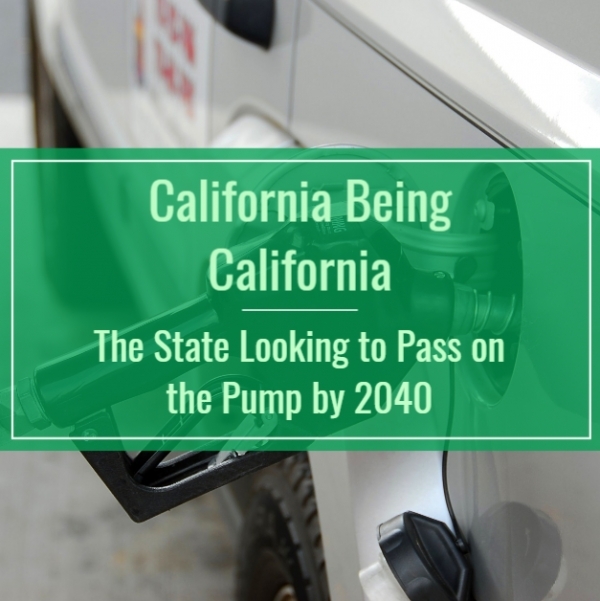 California’s assembly member Phil Ting is looking for the entire state to go green by introducing a bill that would prohibit the sale of new cars that run on gasoline by the year 2040. In an effort to drastically reduce gas emissions, new cars being sold starting in 2040 will need to be completely zero-emission vehicles (including hybrids). While it is a long way until that rule would go into effect, we can’t wait. California’s current goal is to cut 80% of 1990’s recorded gas emissions by 2050 so if Ting’s bill passes, we would be making one strong leap toward reaching that benchmark. By the time 2040 rolls around, electric and hydrogen powered vehicles will surely have gone through enough technological advancements to surpass the driving capabilities that current gas powered engines have to offer. After all, look how far Tesla has come since the release of their first car. By 2020, Elon Musk will be selling Tesla’s prized possession – the Roadster. 1.9 0-60mph, an upward of 250mph top speed and a range of 620 miles? That’s tough to pass up. Just like with any vehicle in history, as time passes so will the technology and we’ll be able to see what was once reserved for the +$100,000 cars trickled down into your everyday vehicles. 2040 will be a very exciting time. As with every article, we like to voice our opinion on what any automotive news will do for the used car market. Many customers who sell us their gas cars say they are switching over to hybrid or electric vehicles for many different reasons. While some say its for the environmental or cost-effective reasons, one thing is for sure – zero emission vehicles are gaining in popularity more and more by the year causing drivers to sell us their used gas powered cars.